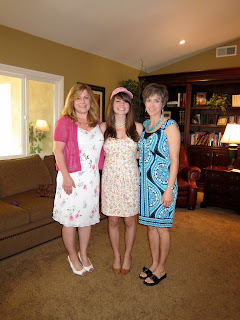 This past weekend I had my bridal shower. Not only was it fun, but I realized just how blessed I am. I seriously have the BEST friends ever. I know everyone says that...but my friends are radiant. They shine with confidence, humility, beauty, and most importantly, God's love. Having them all in one room was so special to me, especially because this whole wedding planning things takes up all of my time and I haven't had much girl time. I was also blessed by my family & future family to be! They are all so supportive and wonderful. So to all who came, thank you so much. It meant to much to me. be women of courage; be strong.